My mother was a very active woman, and is still to a certain degree. About 12 years ago, my mother was playing multiple sports a week. Mondays and Wednesdays would be volleyball. Tuesdays would be a bowling league. Mix in a few rounds of golf into that week, and the fact that she was a stay at home mom. Well time takes its toll on the body, and she was suffering from joint pain, sore knees, and stiffness. To continue her active lifestyle it was recommended to her to have shoulder surgery and rehabilitate. This day in age it seems ubiquitous. Soon after the surgery was completed she was not feeling right. When some one like my mother feels disconnected with her senses and coordination, its a sign. Weeks had passed and nothing has really changed. Months had passed and things were still foggy and unsettling. I mean the onset of body tremors and constant vertigo would start to disturb you. Id imagine it would be like not being able to stop hiccuping or eye twitches. After many trips to specialists and doctors my mother was diagnosed with Parkinson's. 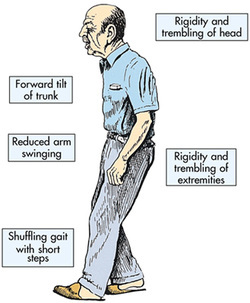 A neurological disorder that affects brain activity, motor skills, muscle memory, strength, and other bodily functions. Decrease in dopamine-generating cells in the Brain, specifically the substantia nigra. Since Parkinson's is usually genetic, we traced back through our grandparents and no one in the family had been diagnosed. In most scenarios, those affected are 60+, where as my mom got it around her mid 40's. The thought of anesthesia leading to her syndrome was shocking. You would never think that something like that could happen. Since the dopamine receptors are being manipulated by the drug it is possible for them to be disrupted to a point of non-reversal. In this case, that has been the suggested cause to my mothers Parkinson's. 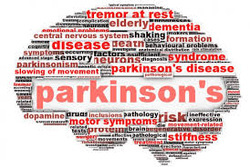 There is no cure for Parkinson's Disease. There are medications to help with the symptoms and slow the neurological defects. Currently they are using stem cell research to possibly create new receptors in the brain to resume normal activity. So for 12 years my mom subjects herself to new medications, talks to specialists, and tries holistic remedies. Every year or so she will engage in a new study, and is newly accepted to be apart of the University of Arizona's medical professionals testing of treatments and research for the disease. There is no reason for my mom to settle, its amazing how brave and encouraging it is to watch her try. It is really hard to imagine dealing with something that deteriorates your mind and body against your will, against the rules of natural aging. I don't know if there is really a lesson to this story, but it is definitely an experience that doesn't present itself very often, and has ultimately affected the life of my family.